Our family- friendly 2 mile route is back for all to enjoy! 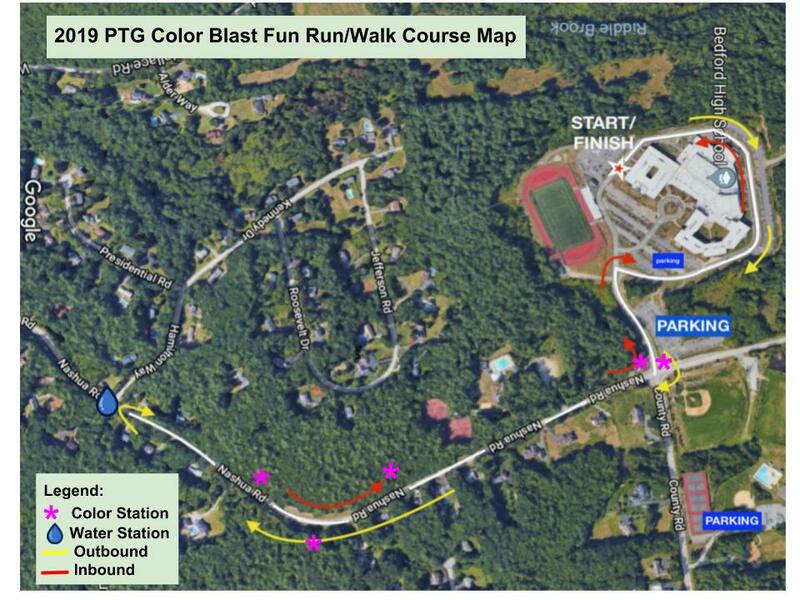 At the start line you will run around the back of Bedford High School Campus (located at 47 Nashua Rd) down the drive where you will then take a right to cross over the intersection to run on the left side of Nashua Rd against traffic. When you reach Hamilton, you will turn right and make a U-turn to run down the other side of Nashua Rd, taking a left back onto the campus. Stay to the right and follow the road back behind the high school to the finish line.